One out of every seven people in the world today is on the move, voluntarily and involuntarily, within countries and between them. More and more people belong to several communities at once and yet the social contract between state and citizen is still bounded by questions of nationality. Where will the cultural building blocks come from with which we can imagine a different kind of nation, and different kinds of institutions, that better reflect this reality? 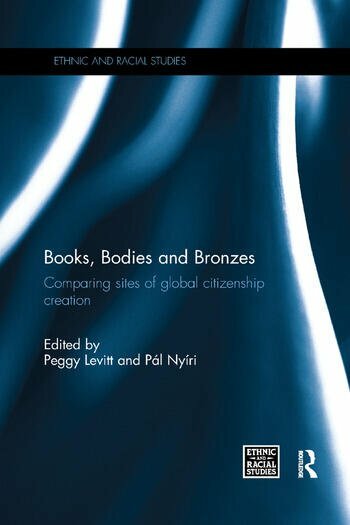 This book looks at the potential role of international music competitions, beauty magazines, elite social clubs, and religious movements, among others, as potential breeding grounds for the creation of global citizenship. This book was originally published as a special issue of Ethnic and Racial Studies. Peggy Levitt is Professor of Sociology at Wellesley College, Massachusetts, USA, and the Co-Director of The Transnational Studies Initiative at Harvard University, Cambridge, Massachusetts, USA. Pál Nyíri is Professor of Global History from an Anthropological Perspective at the Vrije Universiteit, Amsterdam, The Netherlands.